Western Digital My Book Thunderbolt Duo Dual-Drive storage system now shipping. If you&apos;re looking to do some super-quick, super-painless PC spring cleaning, you&apos;ll want to grab an external hard drive with USB 3.0 transfer speeds. Western Digital&apos;s My Book Essential range offers as much as a massive 3TB of external storage, and transfer speeds three times as fast as USB 2.0 thanks to their USB 3.0 connectivity options. We took a 3TB model for a spin. Read on for our thoughts! CHRISTMAS GIFT GUIDE: Set-top boxes from Sky, Apple, TVonics and more! 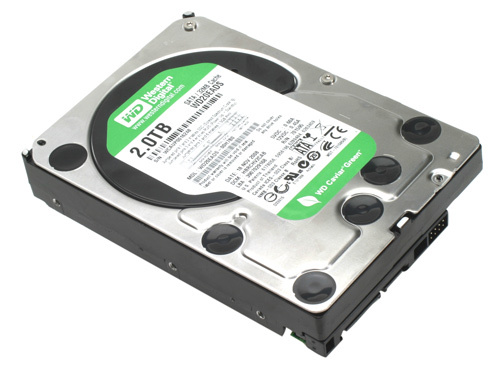 Not only has the newest Western Digital Caviar drive got more storage capacity than a dog’s brain, the 2TB hard drive has also been designed to be environmentally sound, with WD suggesting it consumes 4-5 watts less energy than competing HDs.